Focus MaculaPro® is made in the United States (of domestic and imported materials) and extensively tested in an FDA-registered facility to ensure a premium product. 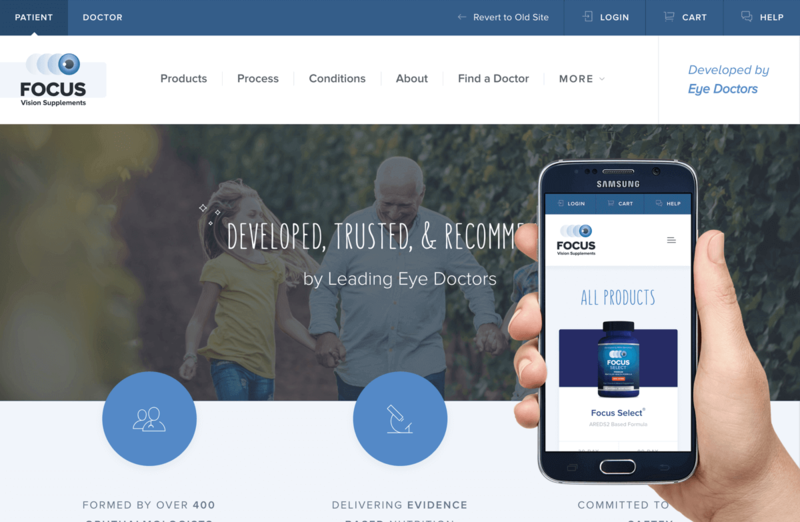 Ask your eye doctor if Focus MaculaPro® is the best choice for you. A proven formula for macular health. Made in an NSF certified and cGMP compliant facility. 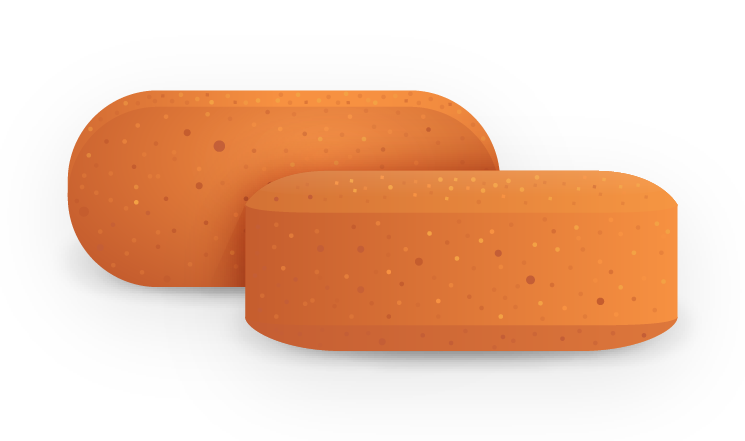 As a dietary supplement, take one (1) tablet in the morning and one (1) tablet in the evening with meals. Dicalcium phosphate, microcrystalline cellulose, croscarmellose sodium, coating (polyvinyl alcohol, macrogol, titanium dioxide (color), talc, FD&C yellow #6 Lake, FD&C red #40 Lake), stearic acid, calcium silicate, silica and magnesium stearate. Contains fish (cod, pollock, haddock, hake, cusk, redfish, sole and flounder). Who should take Focus MaculaPro®? People who are at a high risk for developing advanced AMD should consider taking Focus MaculaPro®. Before taking these high levels of vitamins and minerals, you should talk with your doctor about the risk of developing advanced AMD and whether taking Focus MaculaPro® is right for you. The specific daily amounts of antioxidants and zinc used by the study researchers were 500 milligrams of vitamin C; 400 International Units of vitamin E; 15 milligrams of beta-carotene (often labeled as equivalent to 25,000 International Units of vitamin A); 80 milligrams of zinc; and two milligrams of copper. 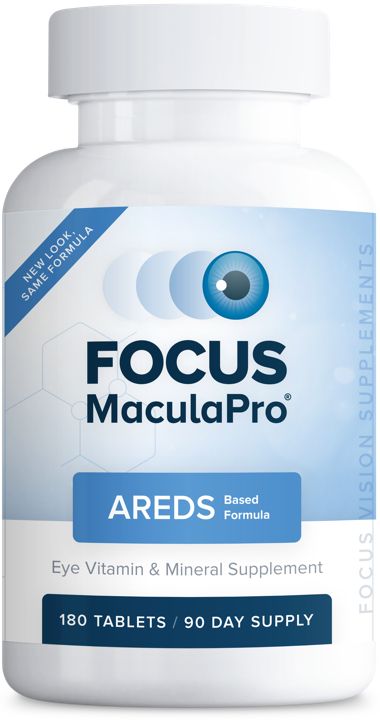 The physicians of Focus MaculaPro® based its formula on the formula used in the AREDS study. Are the high dosages of these supplements safe? The AREDS study followed 3,600 patients for seven years and monitored them for side effects very closely. Out of thousands of patients, some AREDS participants experience minor side effects, but no serious side effects from the supplements were found. Can I take a daily multivitamin if I am taking Focus MaculaPro®? Yes, as long as you first check with your primary care doctor and he or she approves of your taking the combination of the additional multivitamin. Can a daily multivitamin or diet alone provide the same levels of antioxidants and zinc? No. The levels of antioxidants and zinc found in Focus MaculaPro® are considerably higher than the amounts in any daily multivitamin, and the levels of vitamins and minerals are difficult to achieve from diet alone. Will taking Focus MaculaPro® prevent me from developing AMD and/or improve my vision? No. There is no known treatment that can prevent the development of AMD. The AREDS study showed that the vitamins taken supported eye health, but did not show that patients would see improvement in their vision. No vitamin or supplement has ever been scientifically proven to improve vision lost to AMD. What about other antioxidants such as bilberry and folate? The AREDS study did not evaluate bilberry, folate, or other ingredients. At this time there is no proven benefit in taking these supplements.